With the Dubai Duty Free Tennis Championships in full swing, the love for the game does not have to be limited to the on-court action. If you’ve wondered about the lives and the very really struggles of tennis greats, here are our pick of the best biographies of the sport’s key players, including Andre Agassi and Serena Williams. The intimate telling of Andre Agassi’s personal highs and lows in the lead up to his first grand slam win aged 22 makes for a poignant read. The tennis player was destined for great heights from the time he was a wee baby, with his often aggressive father taking the lead to shape Agassi’s career from a young age. The book is a haunting telling of Agassi’s personal demons, his own resentment towards the sport, along with his doomed, very public marriage to Brooke Shields before he found love with fellow tennis star, Steffi Graf. 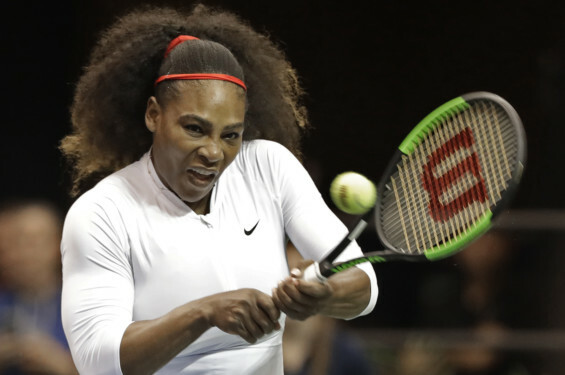 She is arguably the most famous face in tennis today, and even though her story is far from over with her near-death experience at childbirth last year, Serena Williams is every young hopeful’s dream. The biography shares insightful details of her early years growing up in a tough Californian neighbourhood where she trained with her father on courts that were breeding grounds for drugs. While the debates will continue whether he was the greatest player of all time, Pete Sampras’ name remains synonymous with tennis — not to forget those 14 Grand Slam titles. The memoir gives a detailed insight into the struggles he faced off-court, with fame and the influence people had on his gameplay and career. Perhaps the most telling piece of the story is Sampras’ grief after the loss of his close friend, confidant and coach. While on the subject of Monica Seles, the one-time tennis great and champion had a career that saw its highs and a particularly dark period when the ace player was stabbed on court in 1993. Getting a Grip, which incidentally became a New York Times bestseller, takes readers through Seles’ early years as she went on to become the youngest winner in the history of the French Open at just 16. The career high continued until the fateful day when a Steffi Graf fan plunged a knife into her back during a match in Germany. Seles was never the same again. The book shares intimate details of her years of recovery, physical and emotional, including her nine-year battle with binge eating. Few can argue that John McEnroe is the sport’s living legend. In cricketing terms: he’s the Sachin Tendulkar of tennis with 77 career titles, seven Grand Slams and facing off players such as Bjorn Borg and winning to tell the tale. The autobiography gives an in-depth look into McEnroe’s early years and his journey into tennis from 1978. The perfectionist was largely influenced by his mother, so much so that his ability in tennis was only honed by his hatred towards the game and losing to his rivals. Serious takes us through McEnroe’s winning streak, his insufferable ego and corresponding tantrums that made him legendary. Read it and do take time out to ready the follow up, But Seriously, which he penned a decade later.